If your family has experienced the heartache of watching a newborn struggle with the debilitating effects of medical negligence during labor and delivery, a crucial step in making sure responsible parties are held liable for their actions and gaining compensation to cover your child’s medical costs is to contact an experienced Maryland birth injury lawyer as soon as possible. The medical malpractice attorneys at Eisbrouch Marsh understand the frustration, anger and uncertainty you are likely feeling, and we are prepared to put our extensive litigation resources to work on your behalf, fighting to secure justice and the financial compensation you deserve. We believe that when the most vulnerable among us are harmed by the negligence of those specifically entrusted with their care, it is our duty to see that all responsible parties are held to account. Negligent acts and omissions on the part of healthcare professionals during the labor and delivery process can have far-reaching consequences not only for babies, but for their entire families. Physical impairment, cognitive deficits and developmental delays are just a few of the lasting effects that can result from medical malpractice that occurs during those key hours and minutes leading up to a child’s birth. The manifestations of serious birth injuries often require years of intensive medical intervention, rehabilitation, therapy and special education, all of which demand expenses which most new parents are ill-prepared to meet. If your child suffered a significant birth injury, and you believe negligence may have been to blame, our team of attorneys, medical experts and support staff want to help identify the responsible parties and begin the process of fighting for the financial recovery you and your child are certain to need, both now and well into the future. Legislatures routinely impose time limitations for the filing of a wide array of civil lawsuits, including medical malpractice cases. Maryland requires that such actions be filed either within five years of the date of the injury or three years from the date the alleged harm was discovered, whichever is earlier. For minors, the limitations period does not begin until the potential claimant reaches age eleven, or the age of sixteen if his or her reproductive system was damaged by the alleged negligence. Wrongful death actions are required to be commenced within three years of the death at issue. Prospective plaintiffs in birth injury lawsuits need to understand that their time to pursue compensation for the harm caused by medical negligence is not limitless and that time really can be of the essence. Many jurisdictions also impose limits on the dollar amount of damages that can be awarded in cases alleging medical malpractice. Maryland has set a limit on the amount of non-economic damages that may be awarded in such cases. Non-economic damages are payments for things such as pain, suffering, inconvenience, disfigurement and loss of consortium. For 2014, the cap is set at $740,000, and will increase by $15,000 in each subsequent year. This cap is also applied in wrongful death actions, and the total amount recovered by beneficiaries in such cases is not permitted to exceed 150 percent of the relevant annual cap. It should be emphasized, however, that Maryland imposes no cap on the economic damages recoverable in medical malpractice cases. Thus, there is no limit on the amount that can be awarded for medical expenses, rehabilitation costs and the like. Maryland has waived sovereign immunity up to $100,000 per claim, thus allowing plaintiffs the possibility of recovering compensation for the acts or omissions of employees of the state and/or its political subdivisions. However, immunity for punitive damages and prejudgment interest has been retained. Prospective plaintiffs are required to submit written notice of a claim against the state within one year of the event in question, and lawsuits must be filed within three years of the alleged harm. Local government liability is limited to $200,000 per claim and $500,000 per individual occurrence, and punitive damages are again unavailable. Charitable hospital facilities that carry liability insurance in excess of $100,000 cannot be held liable for damages that surpass the policy coverage limits. It should be noted, though, that such immunity is not extended to the employees of such institutions. In order to prevail in medical malpractice actions, plaintiffs must demonstrate that the professionals in question acted in a way that diverged significantly from the prevailing standard of medical care. In other words, the acts or omissions of those attending the birth of an injured child must have differed markedly from the behavior a reasonable specialist with similar training would have exhibited under the circumstances. Most jurisdictions require expert testimony as a means to make the necessary proofs, and Maryland is no different. Within 90 days of performing the required step of submitting a malpractice claim to the Health Claims Arbitration Office, plaintiffs must also file a certificate from a properly qualified medical expert stating that there was a departure from the accepted standard of care and that the departure proximately caused the injuries being alleged. With more than 45 years of experience fighting for the rights of the injured, Eisbrouch Marsh has cultivated an extensive network of medical experts, researchers, case investigators and support staff who work tirelessly to assemble the most persuasive and comprehensive case possible on behalf of the clients we serve. When it comes to obtaining justice and fair compensation for injured children and their families, our team leaves no stone unturned. While the law in Maryland clearly affords injury victims the ability to pursue compensation for harm sustained, not all potential plaintiffs understand who can actually be sued in the aftermath of a mismanaged labor and delivery process. It is possible to file suit against physicians, nurses, assistants, and hospitals themselves, depending on the specific circumstances of the case. Because cerebral palsy, brachial plexus injuries, developmental delays and permanent physical impairment often result from errors during delivery, it is important to explore all available options for recourse and all potential targets of litigation. One of the saddest aspects of birth injuries caused by medical negligence is the fact that many such instances of harm were largely preventable. 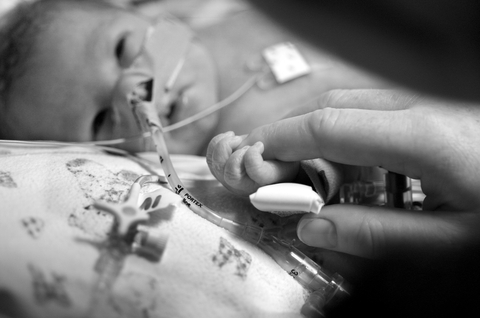 Proper fetal monitoring, accurate administration of medications and timely ordering of Caesarian delivery when required frequently could have saved victims and their families from a lifetime of difficulty and financial burden. If your baby sustained serious harm during the birthing process, and you believe that medical negligence may have played a role, you owe it to yourself to seek sound legal advice. We stand ready to initiate a thorough review of the facts of your case and offer honest advice about the most effective paths to recovery. Because birth injuries are often so debilitating in nature, parents often find themselves wholly unprepared to handle the sizable, ongoing expense of providing appropriate and beneficial care for their children. Fortunately, settlements and verdicts in birth injury lawsuits throughout Maryland have yielded substantial financial awards in recent years for victims of medical negligence. If your child sustained life-altering injuries during the labor and delivery process, you are probably in the throes of a wide range of emotions. Perhaps you are wondering if the disappointment, mistrust and anxiety you feel will ever begin to diminish. Eisbrouch Marsh wants you to know that there is hope. Our commitment to fighting for the rights of the injured is unrivaled, and we intend to continue building on our track record of success in securing favorable outcomes for our clients. We invite you to contact us at 855-60-BIRTH so that we can begin assessing the facts of your case. Remember that you owe no fees unless we obtain financial recovery for you and your family, and initial consultations are always done at no cost. Sinai Hospital of Baltimore Inc.